Russia has announced it will build a new fifth generation, Kalina-class submarine. Will Moscow sell them to China? Russia is developing a new advanced submarine class and may sell them to China, according to reports in Russia’s media. Last week, the head of Russia’s Navy, Adm. Viktor Chirkov, announced that Russia would build new fifth-generation submarines dubbed theKalina-class. “Russia is currently designing a fifth-generation conventional submarine, dubbed Project Kalina, which will be fitted with an air-independent propulsion (AIP) system,” Adm. Viktor Chirkov said, according to Russian media outlets. “Our industry promises to develop this AIP system by 2017 and build the first boat fitted with such a system by 2018,” he added. The report did not specify what type of AIP technology would be used. Submarines equipped with AIP technologies offer significant advantages over conventional diesel-electric engines and even nuclear submarines. AIP systems allow submarines to stay submerged far longer than diesel-electric submarines, which must surface more frequently for oxygen, and thus give away their positions to potential adversaries. On the other hand, submarines with AIP systems are much stealthier than nuclear-powered submarines, which must constantly run pumps to cool their nuclear reactors. This pump emits noises that can be used by adversaries to detect the submarine’s presence and location. Thus, AIP-powered submarines can stay submerged for long periods of time while remaining virtually silent. A number of countries, predominately Western ones but also including ones like India, have acquired or are pursuing AIP-powered submarines. There is also speculation, including by the Indian government, that China’s Type 041 (Yuan-class) submarines—or at least some of the fleet—may be powered by AIP systems. The development of the new Kalina-class submarines raises questions about a prospective submarine deal Russia is negotiating with China. As The Diplomat has reported before, Russia and China have long been in negotiations over Beijing’s desire to purchase four of Russia’s fourth generation Lada-class submarines. However, Russia’s decision to proceed with production of the fifth-generation Kalina-class submarines may mean that Moscow will not continue producing the Lada-class submarines (so far, only one Lada-class submarine, St. Petersburg, actually exists). According to Want China Times, however, Voice of Russia reported soon after Admiral Chirkov’s announcement that Russian President Vladimir Putin will probably authorize the sale of the Kalina-class submarines to China. 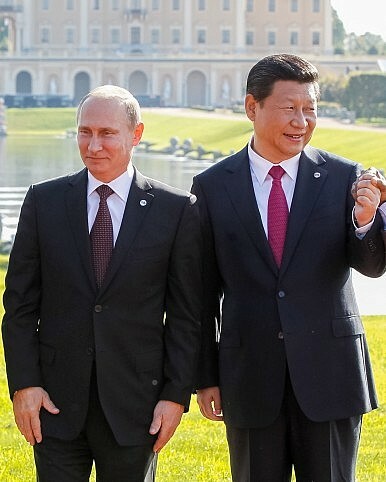 Want China Times said that the Voice of Russia report—which does not appear to be available in English—was based on the assessment of Vassily Kashin, a senior research fellow from the Moscow-based Center for Analysis of Strategies and Technologies. Thus, in no way has this been officially announced by the Russian government. Moreover, Moscow may be floating the idea simply as another way of pressuring the United States over its reaction to Russia’s annexation of the Crimea. Still, selling China the new submarines would further enhance Beijing’s growing undersea fleet, especially if China used the submarines to reverse engineer its own vessels based on Russia’s technology.